Support for educational exchange programmes and activities in the field of mathematic. Through this project the highly talented pupils from high school will be much better prepared in the field of mathematics. They have the opportunity to exchange ideas on the mathematic portal, to participate in contests; they have access to the materials published by math professors from the cross border region. Both partners organized meetings with local authorities, mathematics inspectors, high school directors and signed partnership agreements. For the Timisoara launching event we organized Conferences with the partners and invites from the media, local authorities, scholar inspectorates of the Timis and Caras-Severin counties, mathematics teachers from high schools in the region, professors from both Universities, mathematicians, olympiad participants. For the Zrenjanin kick-off we inviteed local media, authorities, scholar inspectors and mathematics teachers from the high schools in the region. 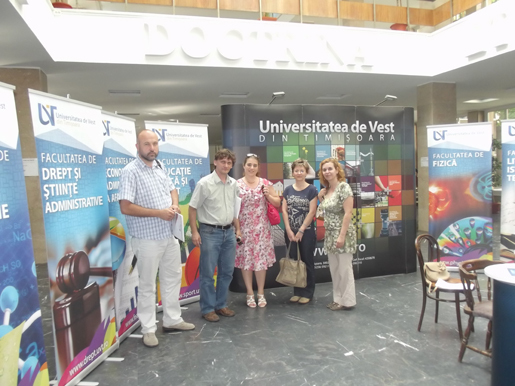 The pupils participated in workshops both in Romania and Serbia.